Discover golfing with a view when you play at Healdsburg Golf Club at Tayman Park. Overlooking the beautiful Dry Creek Valley, golfing at Tayman Park is a scenic experience. Play nine holes of golf on an undulating terrain on this regulation course, which is well suited for beginners, and a challenge to low handicap golfers. Many players choose to play the course twice, for an 18-hole experience. Golf carts are available for renting, but the course is in such a pleasant setting, you may just decide to walk. You can also sign up for a lesson to learn how to golf, or improve your game. You’ll also find a well-stocked pro shop, and a practice facility where you can work on your drive. The Golf Club at Tayman Park is the only Healdsburg California golf course, but you’ll find many more greens nearby within a 15-minute drive. 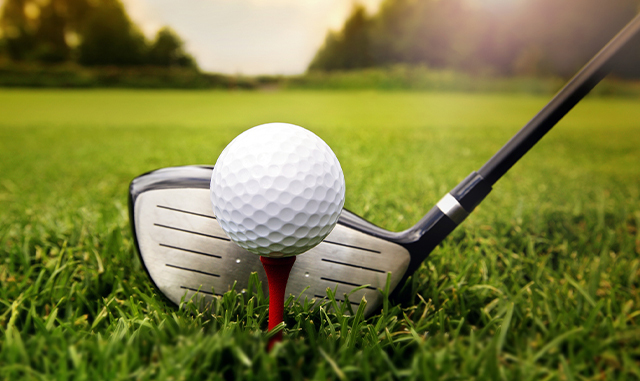 Explore wine country and find the perfect golf course for you, including Northwood Golf Club, Sebastopol Golf Course, Santa Rose Golf & Country Club, Mount Saint Helena Golf Course, Fountaingrove Country Club and many more. After you’ve had your fill of golf, return to our relaxing Tuscany-inspired hotel to relax. We offer elegant villa-style accommodations, centered around an inviting plaza with fountains and fireplaces. Would you like to learn more about this California golf course, or other attractions in Healdsburg? Do you have questions about our gorgeous wine country hotel? Please contact us today at 1-800-222-5784 for more information, and to make your reservations today.